For children who have been learning English for around 60 lessons. The aim of the game is to learn and especially to practise some of the basics of the English language in a playful way - in short, having fun! 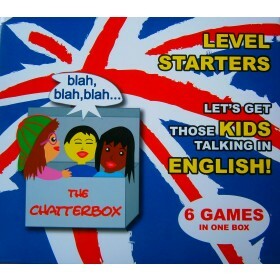 The game focuses particularly on Oral Skills (speaking and listening). As a group game, for 3-6 players, it allows and encourages talking among the players. 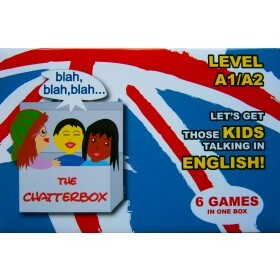 Perfect for EFL students, preferably with around 30 lessons under their belt. 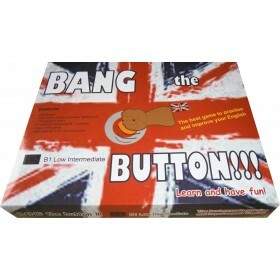 Bang the Button is a complete game that covers a range of areas: vocabulary, communication, culture and movement. The key - if you know the answer, you Bang the Button! 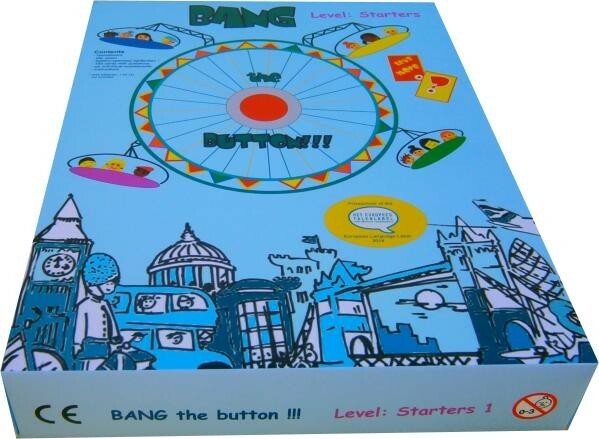 Contents: gameboard, a die, a pawn, a light button (AAA batteries required but not supplied), 120 cards with questions and answers, 40 cards with movement instructions and 6 individual scoreboards with markers.